Replacing a sash window may seem simple, but there are a few things that a worth knowing before you set out to look for a replacement or two. 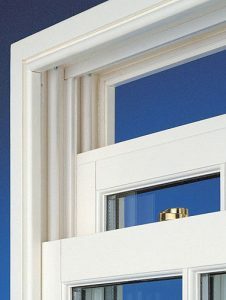 Although you may think they can’t be a good substitute for timber, new sash windows made form uPVC can be manufactured with a wood-grain surface that makes them look like the “real thing”. uPVC sash windows come in up to a dozen different colours, not just white. If you are replacing a sash window with a casement window, it will mean a lot more repair work on the inside of the window reveals because casement window frames are thinner than sash window frames.